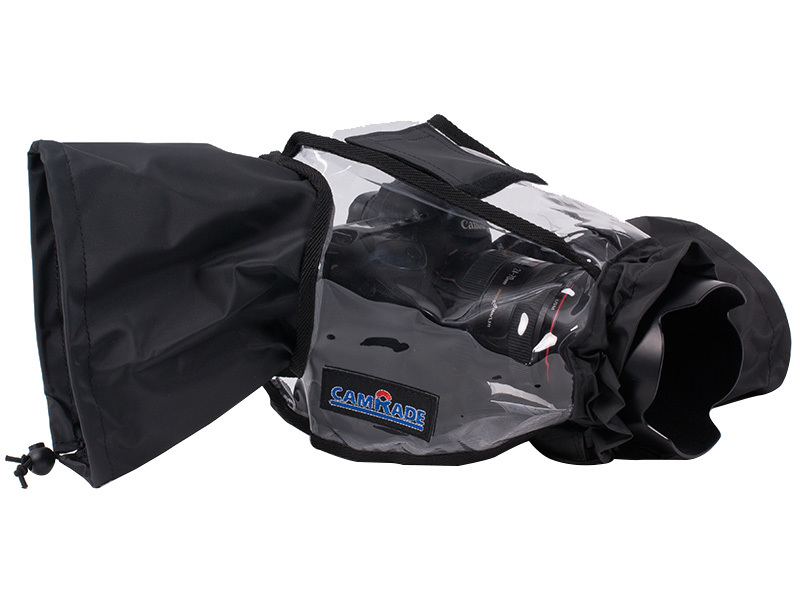 The camRade wetSuit DSLR is a rain cover designed for a wide range of DSLR cameras. 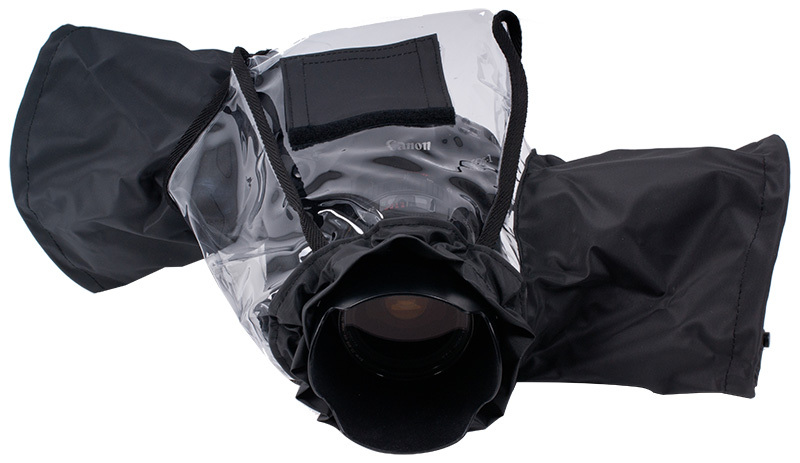 Made of a special fabric with a soft lining it protects your camera against bad weather conditions. A large part of the cover is made of transparent vinyl and allows full view of the controls and lens settings. 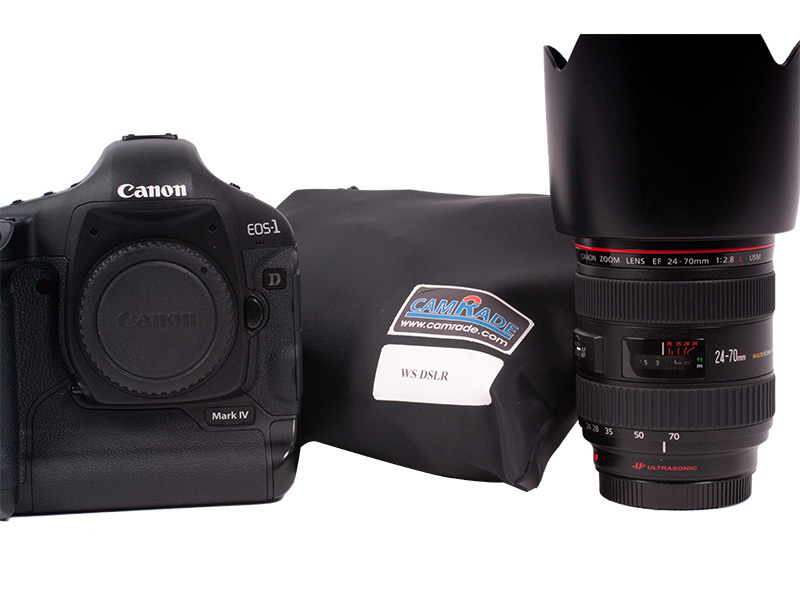 Two access points with soft fabric sleeves allow you to hold and operate your camera. These sleeves and the sleeve over the lens can be tightened with elastic cord to close the cover firmly around the camera. On top of the cover a flap with hook and loop fasteners is added to place your flash light. 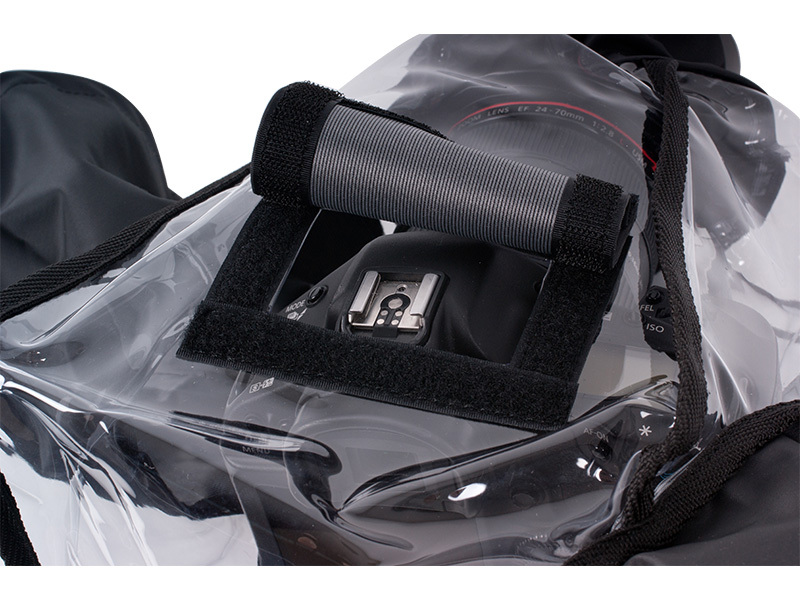 A separate protective cover with vinyl windows for your flash light is also supplied in the package. 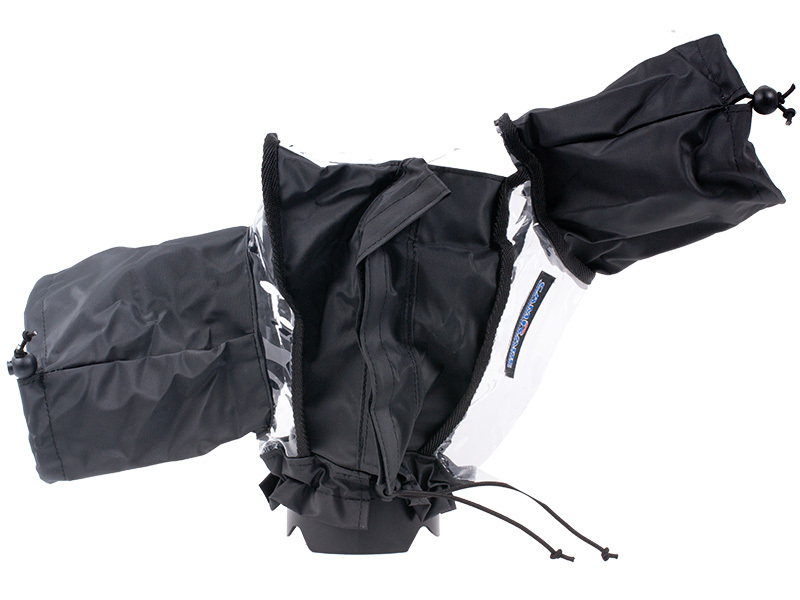 This item is supplied in a waterproof pouch with zipper, which you can use for storage and transportation of the cover when not in active use.